Want a freight broker license? You’ll need a freight broker bond of $75,000 first. The freight broker bond is one of the lesser known parts of being a freight broker but it’s quite simple, and once you get a better understanding of it, you should feel as comfortable with your freight broker bond as you do with getting car insurance. A freight broker bond is a form of a surety bond, which is like an insurance policy for a contract, though it doesn’t take the place of liability insurance. It is a legal commitment made by one party to another to pay a certain dollar amount if the terms of a contract are not met. In this instance, the bond protects a customer from losses if you don’t come through as well as giving carriers the peace of mind knowing they will be paid in a timely manner. The BMC-84 is essential to your freight brokerage as it reassures carriers and companies that you have the backing to broker deals. BMC-84 is the bond for $75,000 and is required by law. It is necessary to cover payouts of possible claims (damages, broker negligence, failure to pay, etc). A freight broker bond can be acquired from any insurance agency such as Liberty Mutual, The Hartford, among hundreds of others. Alternatively, you can search for specific firms in your state who specialize in freight broker bonds. When you’re ready to select your agent of choice they will all require the same information to process your BMC-84: exact business name as it appears on the business license, the exact dollar amount for bond, business address, and all business/personal financial records. You must pay a percentage of the freight broker bond up front before the agency will process it. Usually, this annual premium will be between $900-$2,000 depending on your credit. It can be paid for with a credit card or check in most instances and takes about 24 hours to process. Yes, you can still get a bond. If you have bad credit it’s not impossible, but it will increase your cost to secure a bond which can run upwards of $2,000. Keep in mind that surety bonds do not affect your credit score so it wouldn’t hurt to search around though it’s best to start at the bigger agencies first. The larger the firm the more freight broker bond providers they work with which increases your odds of being approved. Just remember the premium on the freight broker bond is a percentage of the bond itself, so if your credit is bad the premium will be higher. Even though you will have to pay more up front it allows you to open your business and provides an umbrella in case of any freight claims. Trucking is dangerous and things are bound to go wrong on the road from time to time. Customers will understand that. However, when things do go wrong, someone needs to be held responsible and pay the damages. Similar to a car accident, there will be a resolution and one party must pay out to the other. This is why it is required for companies to maintain a $75,000 bond. If you’re found responsible and must pay out on the claim, your bond will act as a line of credit to do so. Before being issued your bond you must sign a legal document to repay in full in the case of such a payout. When selecting your bonding agency to try to use one who is also a Managing General Underwriter (MGU) bonding agency. MGU Agencies can and will help you through each stage of a claim. It is recommended to do everything possible to be proactive when issues arise on loads to prevent claims from being filed. Just like car insurance the more accidents, you have on your record the harder it is to get insured. Only here not being able to get a bond can cause you to go out of business as they are required to operate. Remember DO NOT submit your proof of insurance directly to the FMCSA. The FMCSA requires that your insurance company submit the form and insurance certificate on your behalf. I Have a Freight Broker Bond, Now What? Now that you’ve covered your freight brokerage from potential claims with your freight broker bond, you can either continue to start your freight brokerage company or if you’re ready, explore load boards to help you post loads that qualified carriers can view. 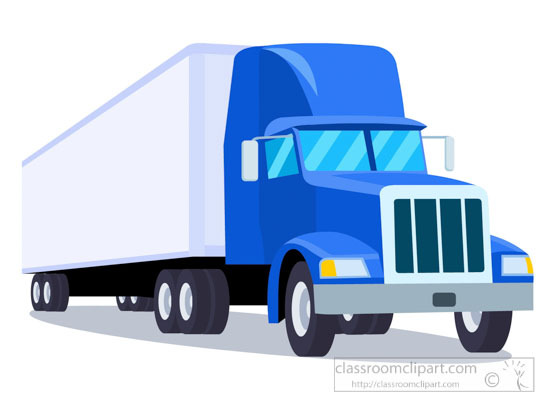 Freight brokers who use Truckloads have the ability to connect with over 100,000 qualified carriers ready to haul their freight. You can even track your loads to verify a carrier’s location and ensure that your customers delivery is going according to plan.